FULTON – Though Lucy (Emily Sohoski – right) has eyes for Schroeder (Alex Blaine – left), Schroeder is more interested in his music and honoring the famed composer Beethoven. 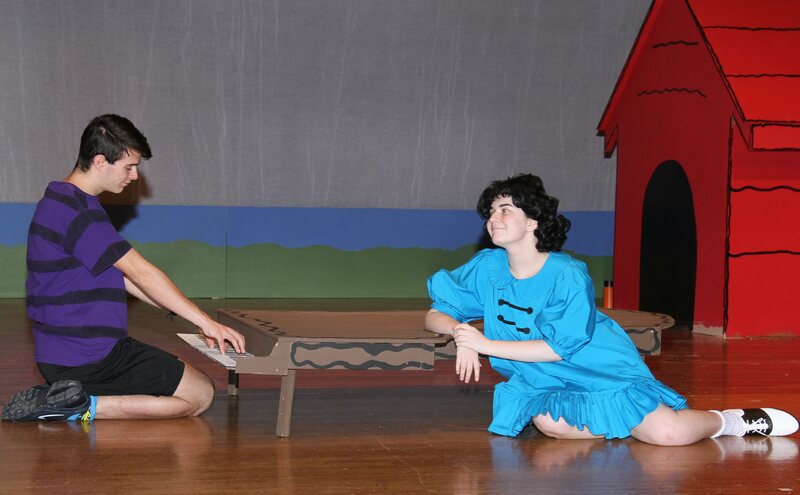 The scene is from Quirk’s Players’ fall production, You’re A Good Man, Charlie Brown. It will be presented at G. Ray Bodley High School this weekend. Performances will be held in the GRB High School auditorium October 25-26-27 with a curtain time of 7:30 p.m. each day.